Read Stealthy Sugars provided by Care Medical Center Staff to learn more about Care Medical Center and our Chiropractic office in Valdosta, GA. 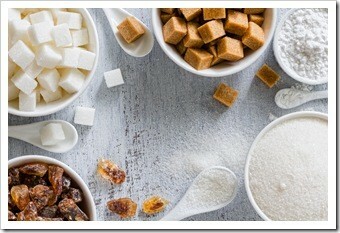 The typical modern diet and activity level creates regular occurrences of unhealthy blood sugar levels in your body. Blood sugar is a term used to describe the amount of the sugar glucose that is in currently in your blood. Glucose is the primary sugar, or carbohydrate, in your body. When you eat food, nutrients are absorbed from your food by your digestive system. They are then transmitted to all of your bodies’ tissues through your blood. Your body uses a series of mechanisms to keep the concentration of sugar (and other substances) in your blood within certain ranges. Clinically, constant spikes in your blood sugar damage your body. There are both short-term and long-term effects of high blood sugar. A single, sharp rise in blood sugar will create a large insulin release, preventing fat burning, promoting fat storage, and also will result in fatigue and fuzzy-headedness. Constant, chronic high blood sugar levels are associated with all of the chronic diseases, most notably obesity, heart disease and diabetes, but high blood sugar levels are also associated with several types of cancer. However, a holistic approach is always critical to ensure that your fuel contains all of the essential elements your body needs. Total energy consumption, nutrient content, variety, and food quality are all key aspects to understand, along with your fuel’s effect on your blood sugar. Let our expert team help you understand the complicated world of a healthy diet and help you design a program that will have you live a happier healthier longer life. This entry was posted on Thursday, April 17th, 2014 at 3:17 pm and is filed under Health Articles. You can follow any responses to this entry through the RSS 2.0 feed. You can skip to the end and leave a response. Pinging is currently not allowed.